Price Reduced. Bring your Horses! This property consists of 2 separately deeded parcels. Both parcels combined will give you 12.6 +/- acres. As you drive up the long driveway, you will notice the beautiful 6-stall Barn on the left of the property which runs off its own well and includes a brand new hot water heater and pump. At the end of the driveway you will be welcomed into this 4 bedroom 1.5 bathroom home with a spacious open porch. This home features 4 large bedrooms and an office/5th bedroom. Plenty of space to host friends and family in the living/gathering rooms and kitchen. The home has 2 wood burning stoves and 1 fireplace for you to stay nice and toasty in the winter. The property includes 1/4 acre spring fed Pond, 2 run-in sheds, 20 x 30 storage with cement floor, 75 x 40 all steel Morton Building. Property does have 4-5 acres of fencing and 1 +/- acre of electric fence. Land has 4 separate wells. 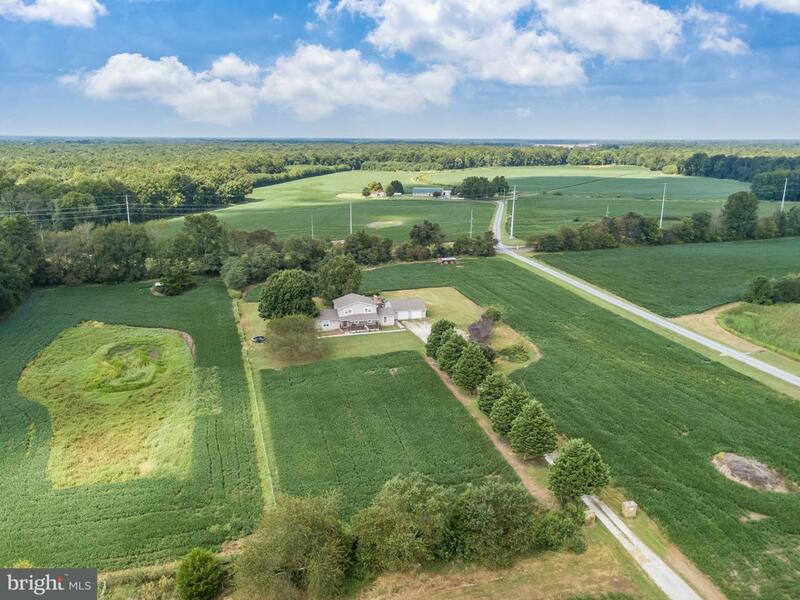 This property sits far off of the highway and conveniently located on the Sussex/Kent county line. Just minutes away from Harrington Raceway and Casino.